Purchased AIrDroid Premium for folder transfer. When I attempt to transfer folder I get the following error "Folder not supported by remote transfer yet"
It's a 400mb folder of audio files...what's the issue? You are transferring the folder from AirDroid Win/Mac desktop client to your phone via File Transfer? If yes, sorry that you can't transfer folder with AirDroid Win/Mac on Remote Connection Mode. OK, yet another FOLDER question. I just clicked the bonus option and spammed some contacts for this folder feature but I see absolutely no option to send a folder. Everything else? Yes, but no folder option. Please don't tell me to try sending files because your offer explicitely describes folder as being separate from files which is clearly a major leap in convenience. 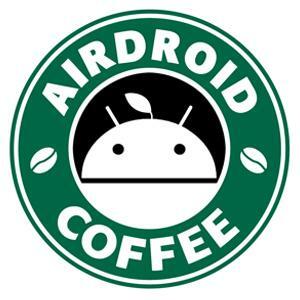 How this turns out will definately affect my opinion of Airdroid. I am not a fan of being mislead into things. So,am I able to send/receive folders from my HTC One M7 with Android to Windows 8.1 on Chrome? Yes or no. If yes, please explain what I am missing.Preferably before this 2 week offer expires. The privilege of bonus user: Folder transfer (remote) means send folder from AirDroid Win/Mac client to your Android under Remote Connection Mode. Free users can't send folder from AirDroid Win/Mac to Android under Remote Connection Mode. Sorry about the inconvenience this may have caused. If you need to get a folder from your phone to computer, use File Transfer on web.airdroid.com (please use Chrome). yes jakob , free users can't send folder from AirDroid Win/Mac to Android under Remote Connection Mode . You have to purchase premium account for that .